Looking for a simple statement piece for your jewelry collection? Why not make an Embroidered Leather Bracelet. That is what Daria from Kitten Hood did. She embroidered leather! Daria says that this bracelet is easy to make. 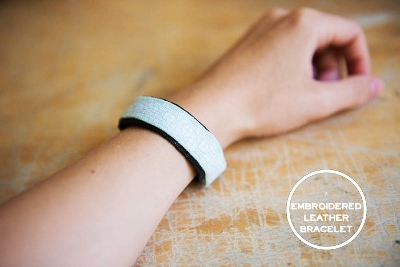 Take a look and make your own Embroidery Leather Bracelet.